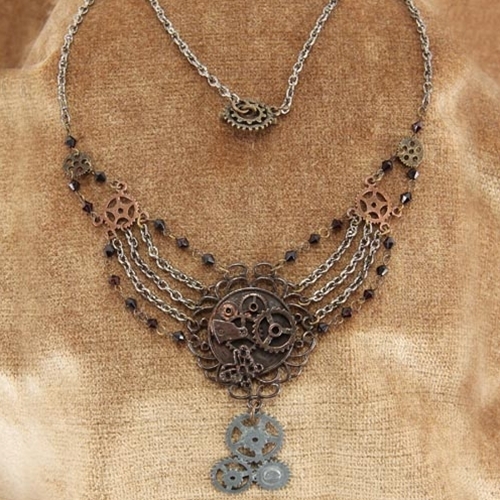 This necklace is a beautiful addition to any steampunk piece that would also not look out of place on any formal dress or gown. 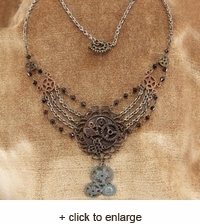 Made of antiqued gears, silver chains and artificial black stones, this piece is simply stunning. 3-D sculpting makes this piece look incredible while the tasteful arrangement of the necklace makes any outfit come alive.